This past summer, disgraced cyclist Lance Armstrong said that it would have been impossible to have won seven Tour de France titles without the use of performance-enhancing drugs. On Monday, former rider Greg LeMond took that sentiment a step further, saying that Armstrong was a “top 30 [rider] at best” without doping. 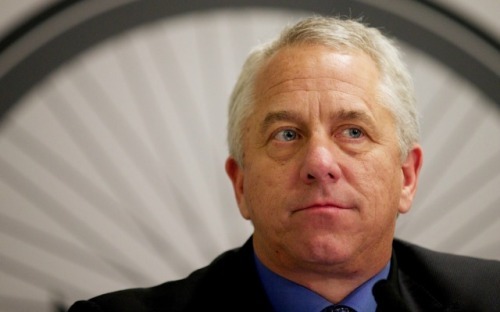 Appearing on CNN’s Anderson Cooper 360, LeMond was asked if Armstrong was a fraud. LeMond, who himself has won three Tours and is currently the only American rider to have officially won the title, compared Armstrong’s lies to mafia manipulation. “This is not a sporting infraction,” LeMond said. “This is criminal. Armstrong, who faces a bevy of pending fraud lawsuits in civil court, has been the subject of criticism since he acknowledged his use of PEDs and was stripped of his seven Tour de France titles. At least Armstrong still has Jan Ullrich in his corner. The German said this summer that Armstrong should have his titles reinstated because, at that time, everyone was dirty.